Swift is a powerful and intuitive programming language for macOS, iOS, watchOS, and tvOS. It is easy to learn and deploy in your application. Swift is the result of the latest research on programming languages, combined with decades of experience building Apple platforms. Faster, easier to use Strings that retain Unicode correctness. Dive into the latest release of the Swift programming language with this advanced development book for building highly performant applications. This book is for developers who want to delve into the newest version of Swift. If you are a developer who learns best by looking at and working with code, then this book is for you. A basic understanding of Apple's tools is beneficial but not mandatory. Swift is the definitive language for Apple development today. It's a vital part of any iOS and macOS developer's skillset, helping them to build the most impressive and popular apps on the App Store the sort of apps that are essential to iPhone and iPad users every day. With version 4.0, the Swift team has added new features to improve the development experience, making it easier to get the results you want and customers expect. Inside, you'll find the key features of Swift 4.0 and quickly learn how to use the newest updates to your development advantage. From Objective-C interoperability and ARC to closures and concurrency, this advanced Swift guide will develop your expertise and help you become fluent in this vital programming language. We'll give you an in-depth knowledge of some of the most sophisticated elements of Swift development, including protocol extensions, error-handling, design patterns, and concurrency. We'll guide you on how to use and apply them in your own projects. You'll see how to leverage the power of protocol-oriented programming to write flexible and easier-to-manage code. Swift 4 is an exciting, multi-platform, general-purpose programming language. Being open source, modern and easy to use has made Swift one of the fastest growing programming languages. If you interested in exploring it, then this book is what you need. 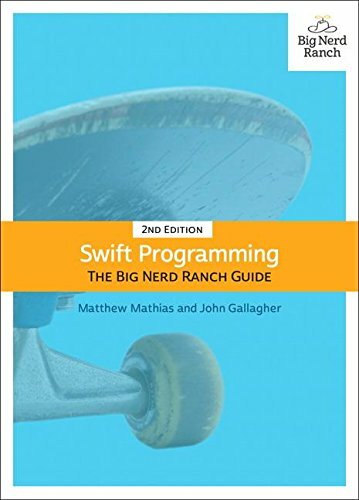 The book begins with an introduction to the basic building blocks of Swift 4, its syntax and the functionalities of Swift constructs. Then, introduces you to Apple's Xcode 9 IDE and Swift Playgrounds, which provide an ideal platform to write, execute, and debug the codes so that you can initiate your development process. Next, you'll learn to bundle variables into tuples, set order to your data with an array, store key-value pairs with dictionaries and you'll learn how to use the property observers. Later, explore the decision-making and control structures in Swift and learn how to handle errors in Swift 4. Then you'll examine the advanced features of Swift, generics and operators, and explore the functionalities outside of the standard library, provided by frameworks such as Foundation and UIKit. Also, you'll explore advanced features of Swift Playgrounds. At the end of the book, you'll learn server-side programming aspect of Swift 4 and see how to run Swift on Linux and investigate Vapor, one of the most popular server-side frameworks for Swift. Keith Moon is an award-winning iOS developer, author and speaker based in London. He has worked with some of the biggest companies in the world to create engaging and personal mobile experiences. Keith has been developing in Swift since its release, working on projects both fully Swift, and mixed Swift and Objective-C. Keith has been invited to speak about Swift development in conferences from Moscow to Minsk and London. Learn How To Program with Swift 4! Swift is the easiest way to get started developing on Apple's platforms: iOS, OS X, watchOS and tvOS. With the release of Swift 4 in 2017, the Swift language is packed with even more features and enhancements. In this book, you'll learn the basics of Swift from getting started with playgrounds to simple operations to building your own types. Everything you'll learn is platform-neutral; you'll have a firm understanding of Swift by the end of this book, and you'll be ready to move on to whichever app platform you're interested in. 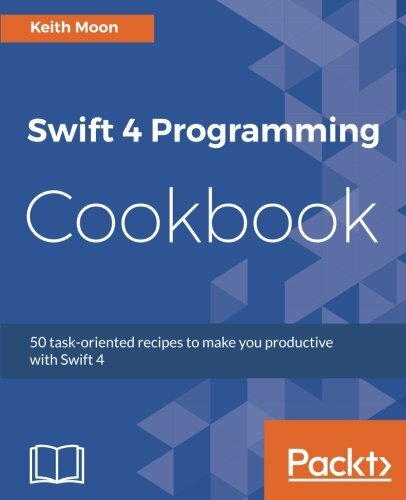 This book is for complete beginners to Swift 4. No prior programming experience is necessary! Playground basics: Learn about the coding environment where you can quickly and easily try out your code as you learn. Numbers and strings: These are the basic kinds of data in any app – learn how to use them in Swift. Making Decisions: Your code doesn't always run straight through – learn how to use conditions and decide what to do. Functions: Group your code together into reusable chunks to run and pass around. Collection Types: Discover the many ways Swift offers to store and organize data into collections. Building Your Own Types: Learn how to model elements in your app using classes, structures and enumerations. Protocols & Protocol-Oriented Programming: Define protocols to make your code more interface-based and compositional. Error Handling: Make your code more robust and flexible by signaling and handling error conditions gracefully. Functional Programming: Learn how to use Swift in a functional style and how this can make your code clearer and easier to reason about. 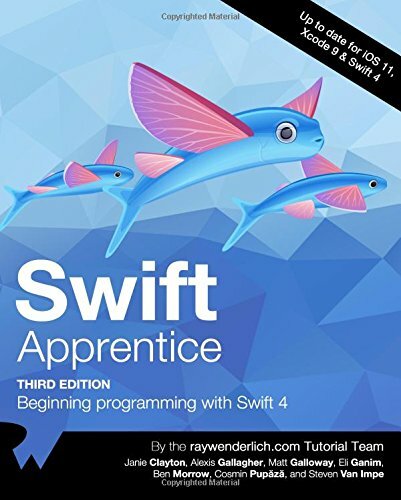 After reading this book and completing your Swift apprenticeship by working through the included exercises and challenges, you'll be ready to take on app development on the platform of your choice! Through the authors' carefully constructed explanations and examples, you will develop an understanding of Swift grammar and the elements of effective Swift style. The Big Nerd Ranch Guide will teach you what you need to know about Apple’s newest language. You can find which new feature on swift 4. 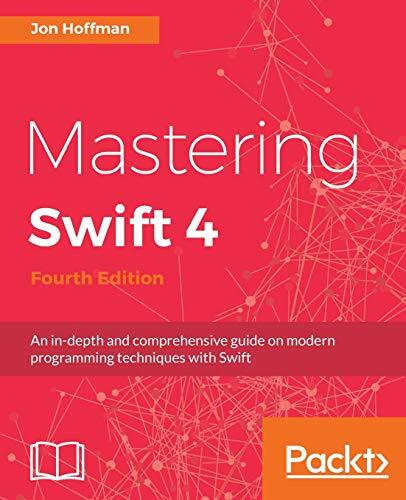 If you are a developer of swift 3 then you can easily move on swift 4 by the guideline of this books. How to develop your own solutions to a wide range of programming challenges. The basics of conditions and switches, as well as enums. How to deploy advanced Swift protocols. How to develop the apps with elements of effective Swift style. Thanks for reading this post. If you have any opinion don't hesitate to comment here. Also please subscribe our newsletter to get more updates. 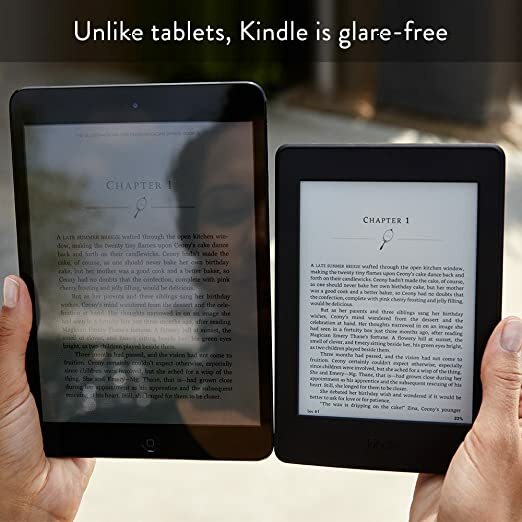 You will get reviews and recommendation of best online books. Get suggestion of buying best books from online. © 2018 Online Books Review, All Rights Reserved.